Equity is the amount left over after Liabilities are deducted from Assets. On the Balance Sidebar the group Equity sums the result of all Assets and Liabilities Accounts in it, and is updated in real-time, upon every transaction posting. 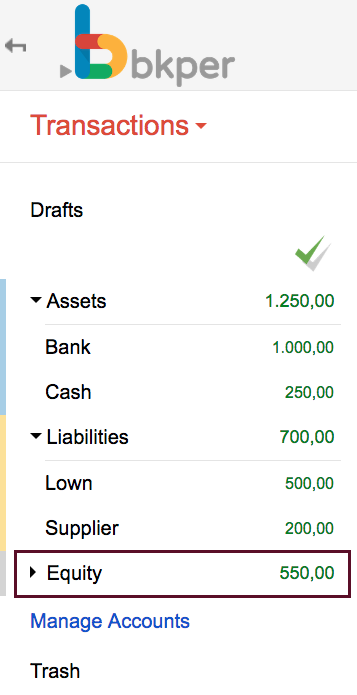 On the left side of the dashboard, you can see your Balance Sheet and Incoming & Outgoing in real-time.